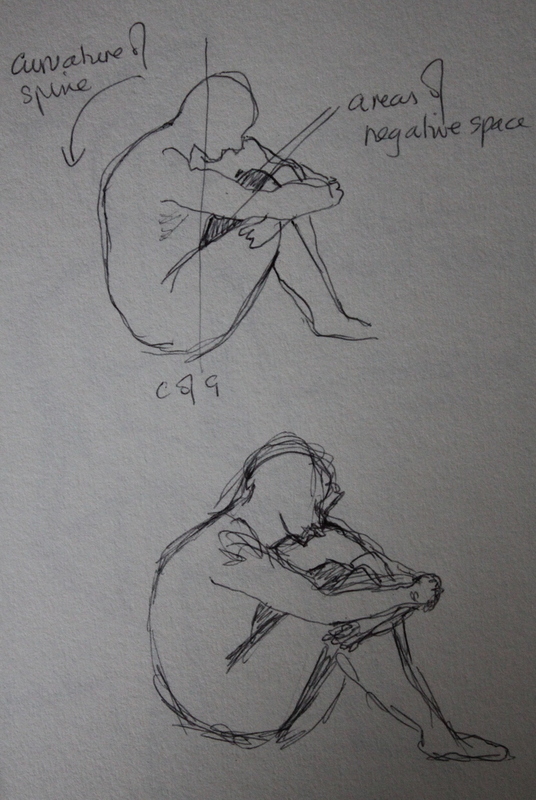 I myself, like this image . 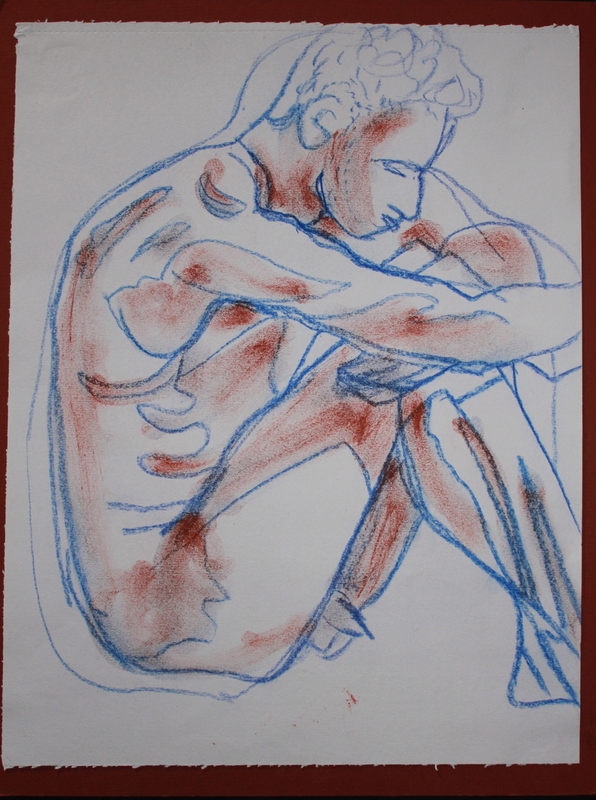 I like the angular areas of shade that I have demarcated and their filling with brown conte and I like the activity and swirls of the lines. 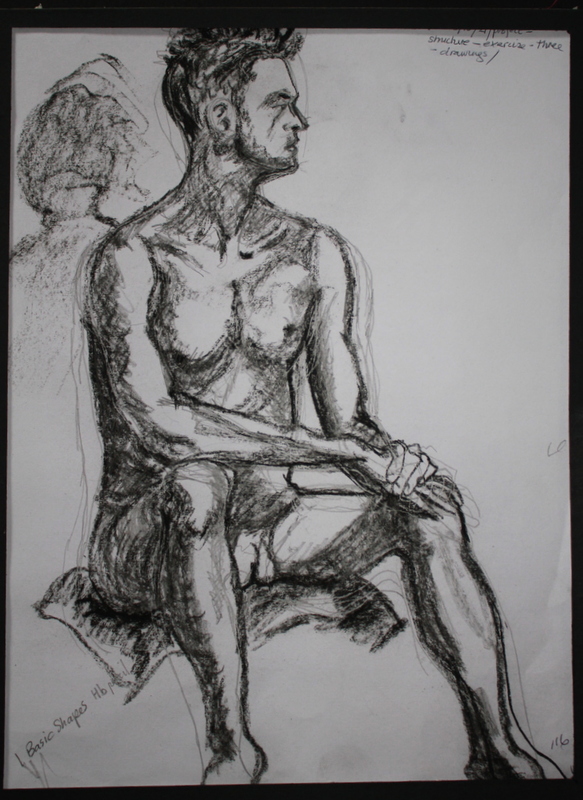 Log -how accurately did you depict the overall proportions of the figure? 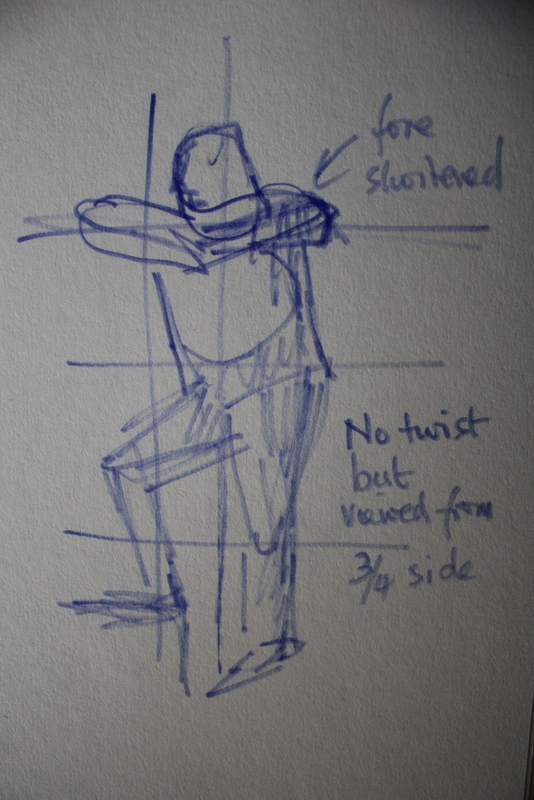 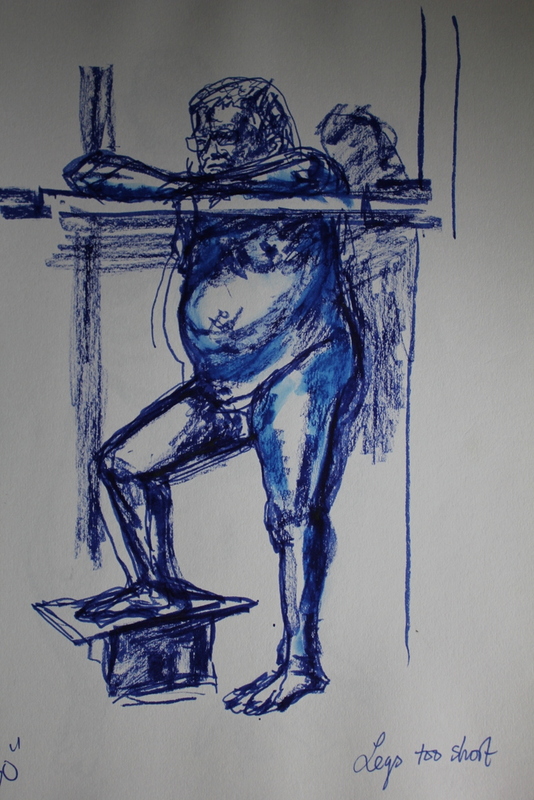 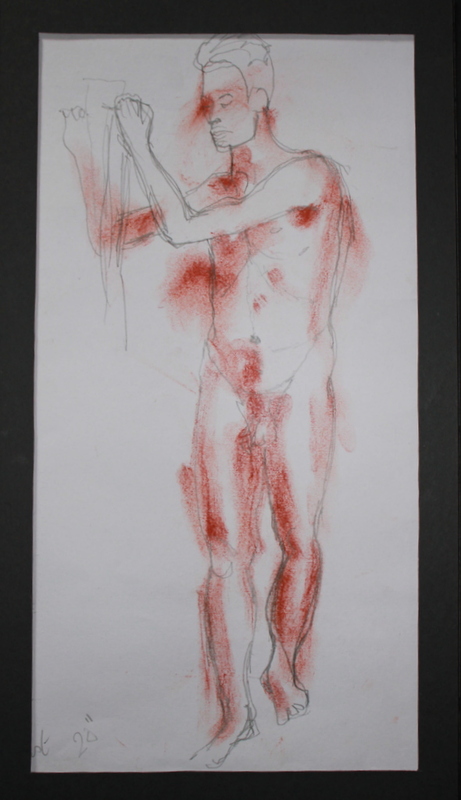 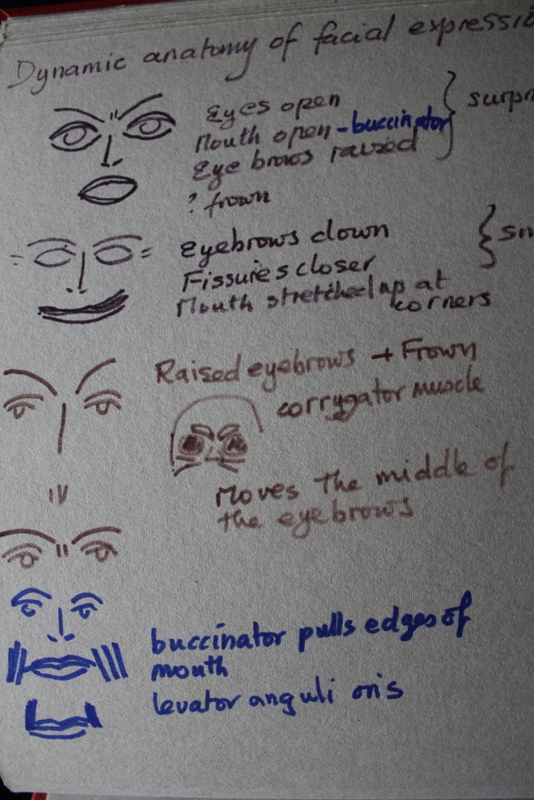 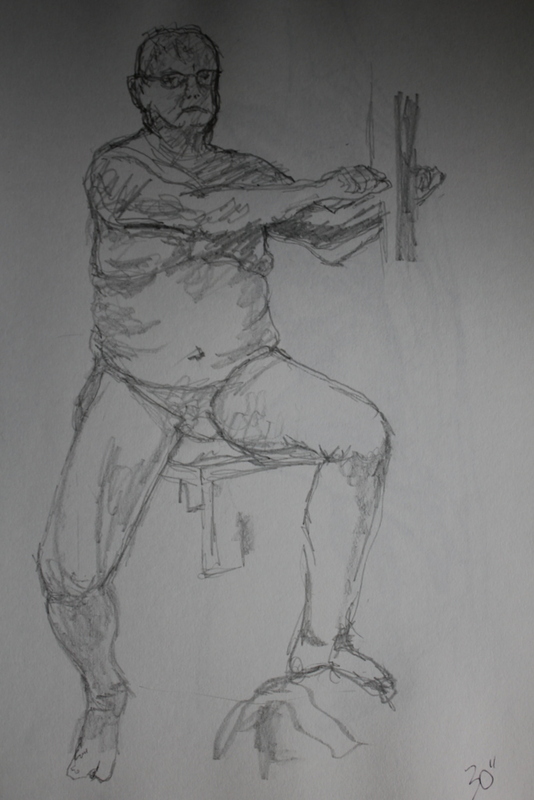 Although generally the proportions were good there were some problems -particularly with head and limbs and with shape when viewing the body part in a foreshortened manner. 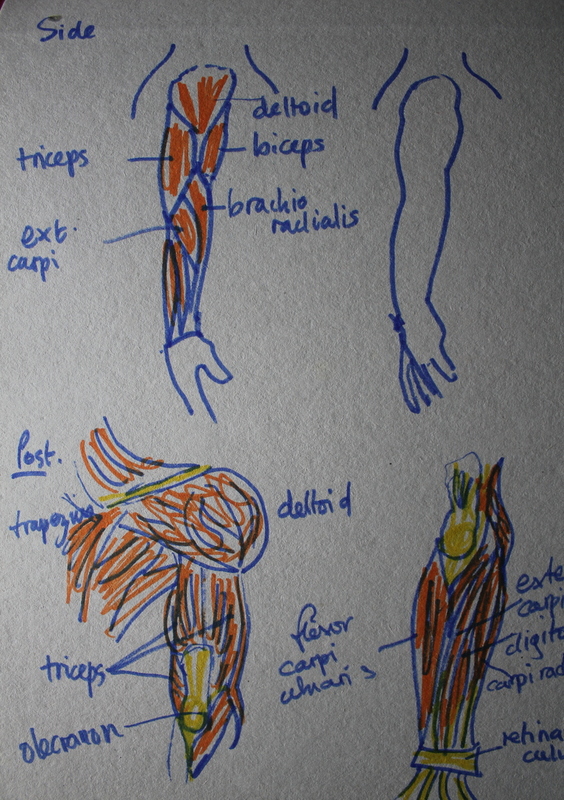 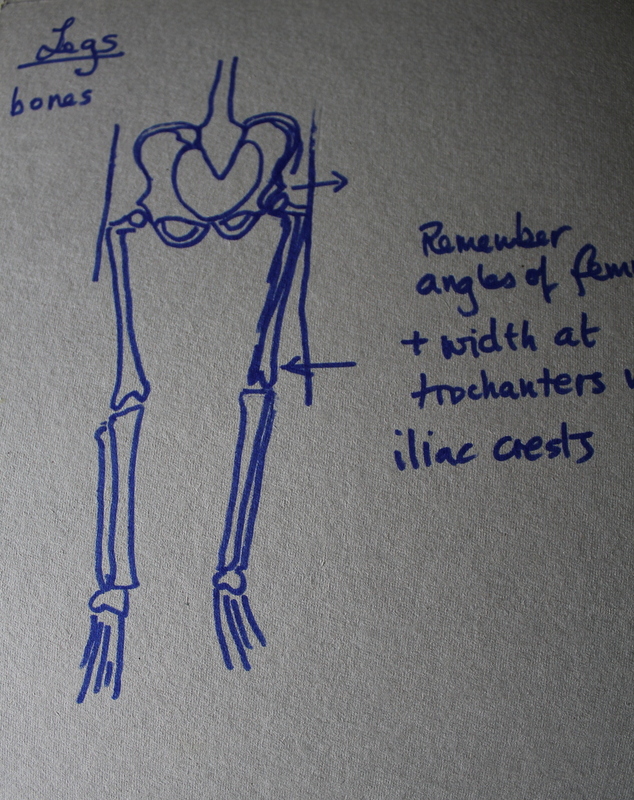 I certainly did try and put the anatomical drawings of muscle and bone to use –but am still not getting the arm and leg muscles well balanced and positioned correctly. 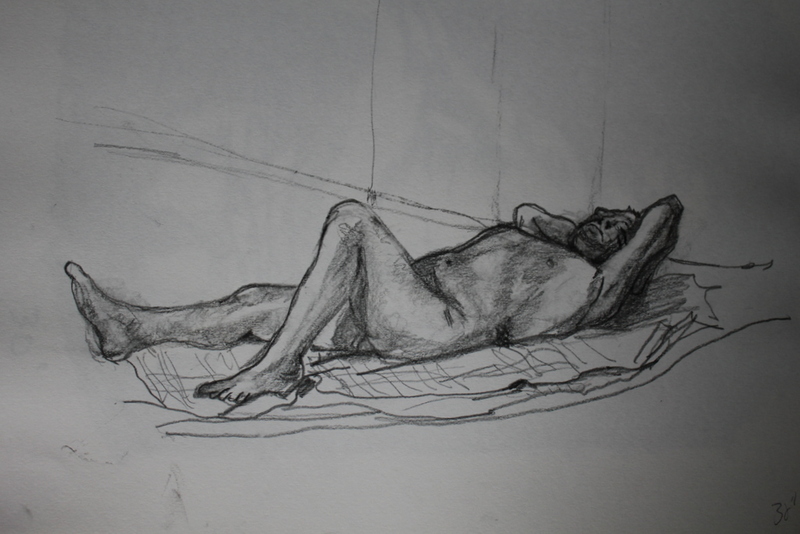 I am interested by the image of Man Resting in the OCA handbook (Lucien Freud) in which there are very little muscles which makes him look both relaxed and floppy -there is no shade depicting bone or muscle and only the Adam’s apple is prominent. 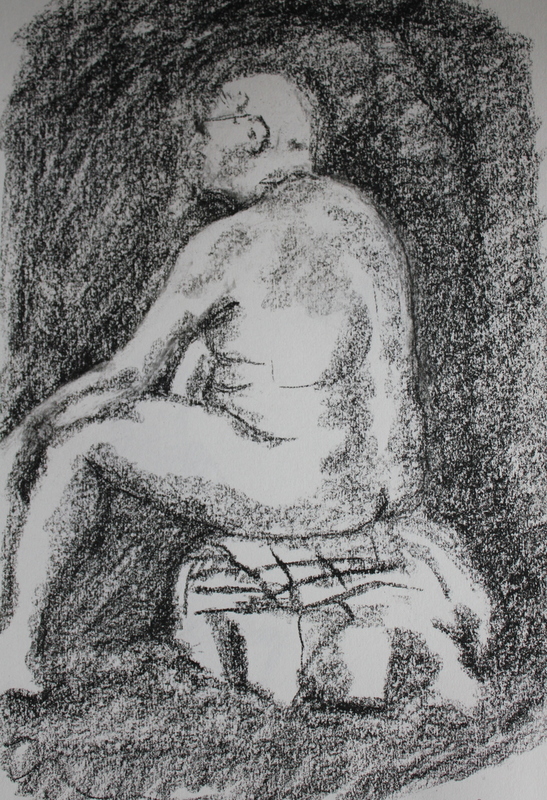 This drawing seems to be out of character with his usual images which depict lots of body shape (particularly fat). 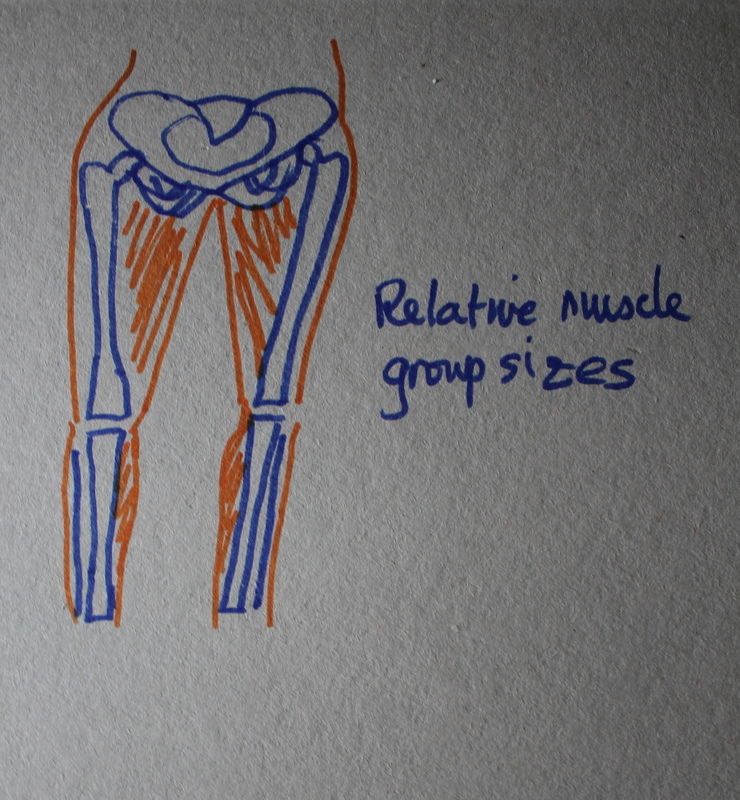 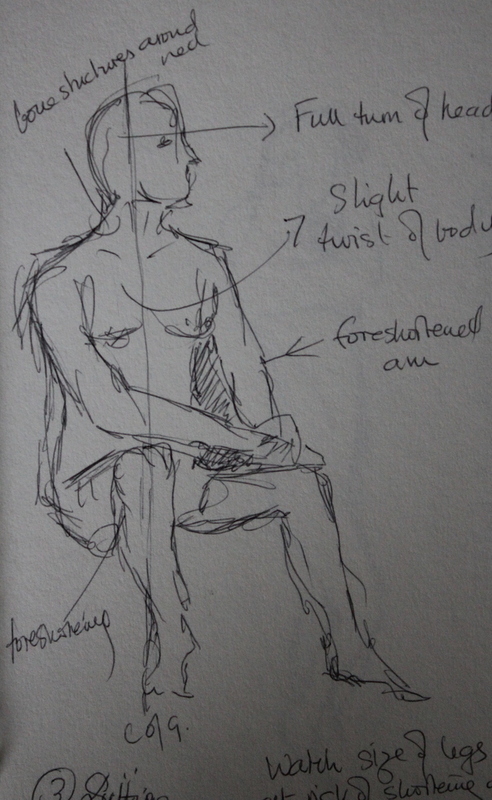 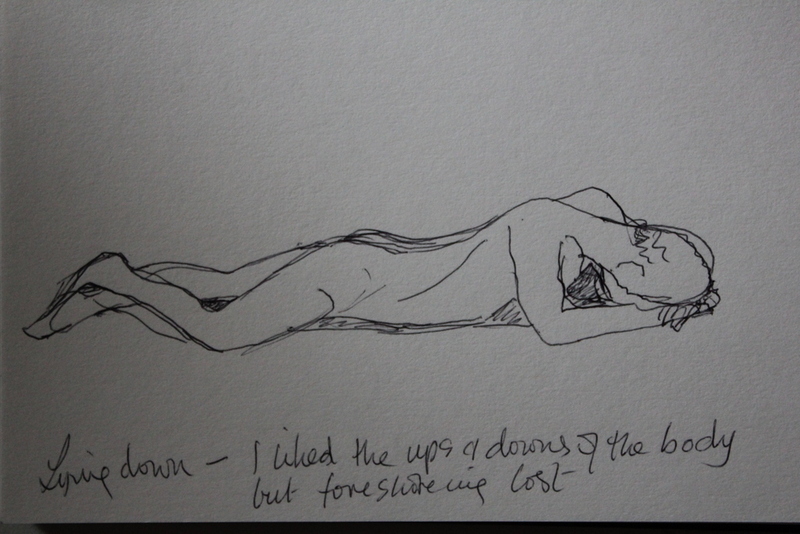 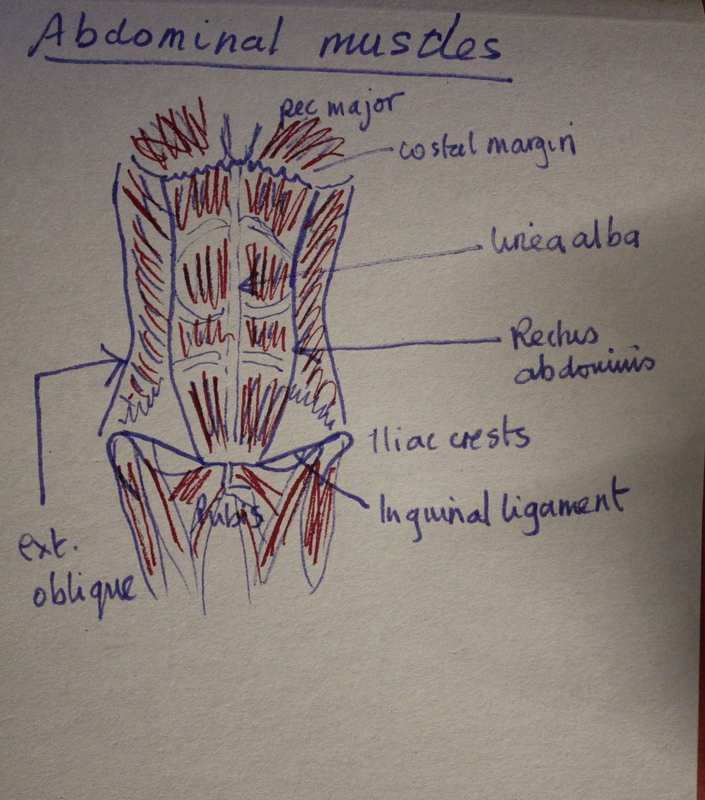 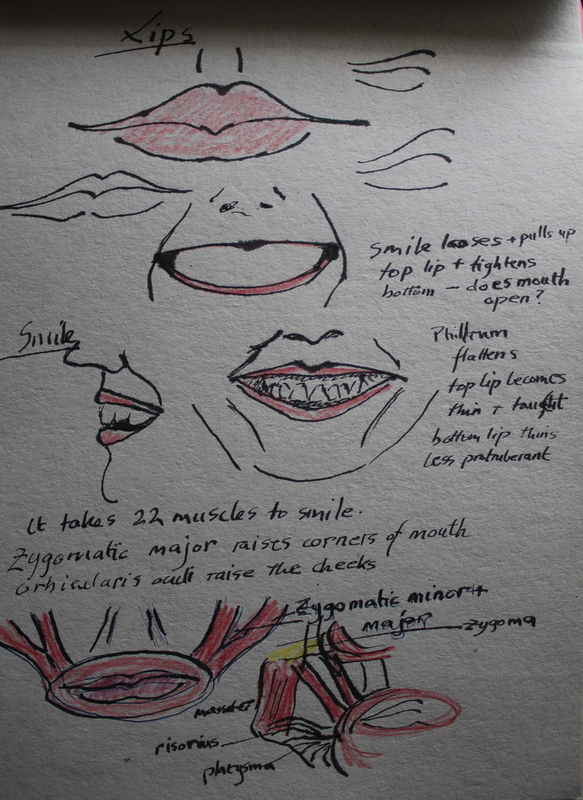 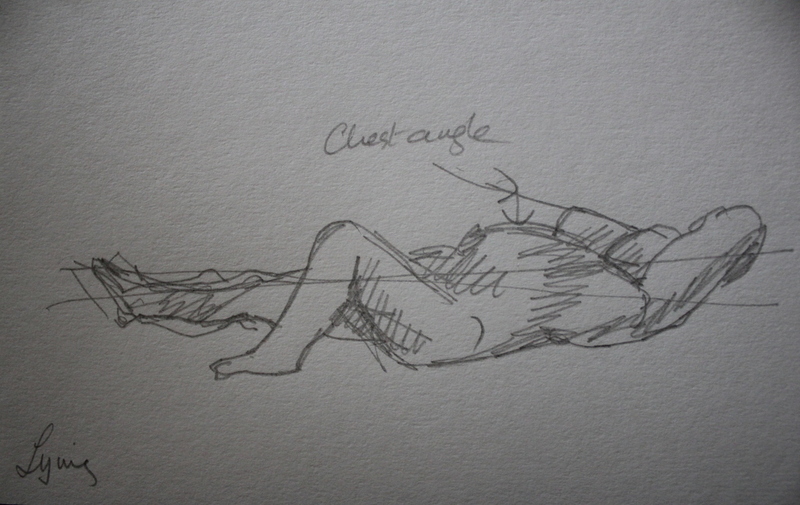 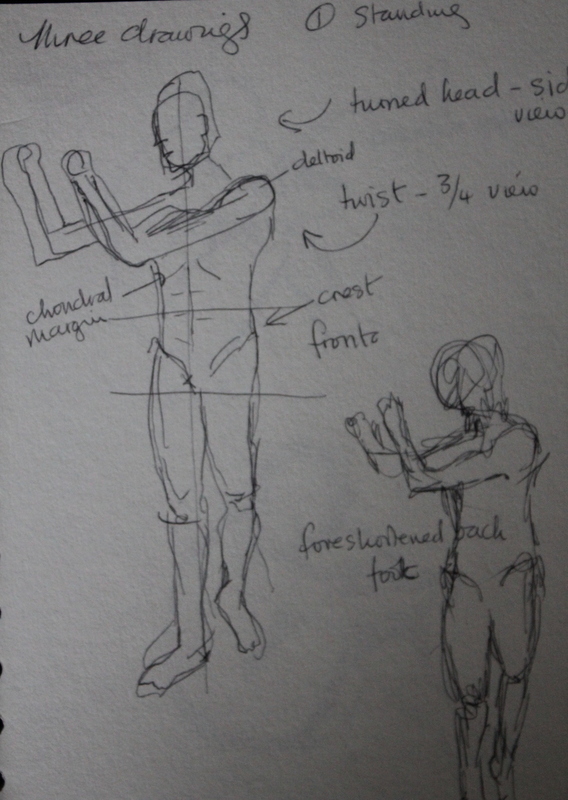 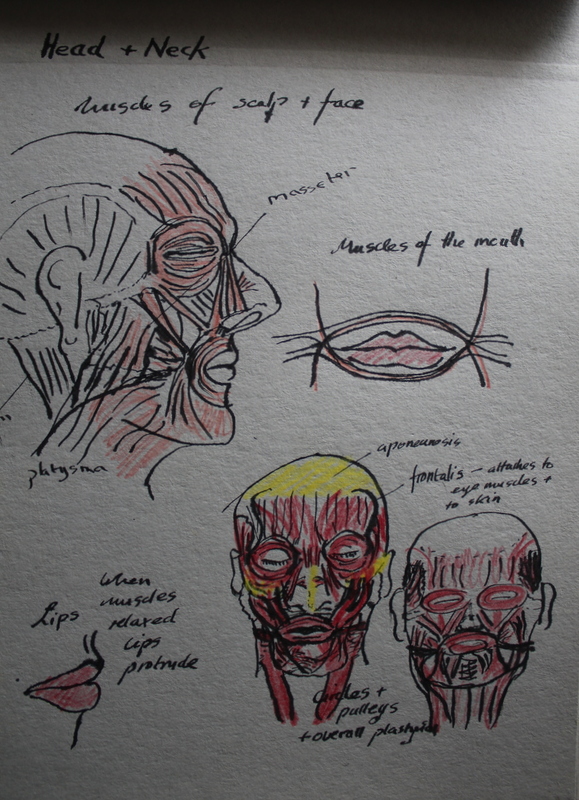 I was struck by my problems with the curvature of the limbs, and with facial expressions and this set me off investigating the muscles, which, having a medical degree , were revision but not easily remembered when drawing the limbs etc. 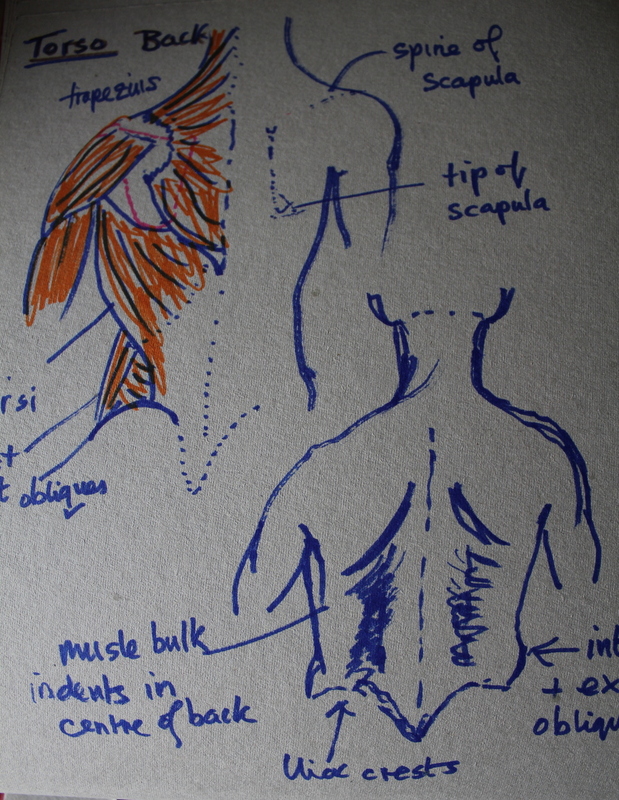 knowing the shapes directions and sizes of the muscles was helpful in determining the shape of the body.